GTA 5 received its expected DLC with great Heists assaults and with it 12 new vehicles to use. However, two of them are locked until players complete certain missions in one of the robberies, the plane and the helicopter Hydra and Valkyrie. Check out how to unlock them and buy them in the game. Step 1. Complete the Heists The Fleeca Job and The Prison Break to access the third Heist, The Humane Labs Raid, or join with a friend. Step 2. Start Heist The Humane Lab Raid and complete the first two preparatory missions. Step 3. Complete the third preparatory mission and you will unlock the plane Hydra. Step 4. Complete the fourth preparatory mission and you will unlock the helicopter Valkyrie. Step 5. Press the digital directional up and access the internet on your mobile phone game. Step 7. 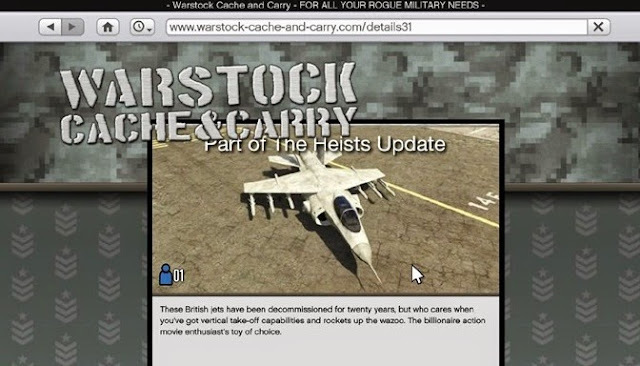 You can buy the Hydra by GTA $ 3 million and the Valkyrie by GTA $ 2.85 million. Step 8. The vehicles will go to any hangar or free heliport you have available.